Tooth brushing is an essential part of good oral hygiene habits. Effective brushing of the teeth ensures that any food particles are removed from the surface of the teeth (and in between the gum line; efficient tooth brushing will also keep the teeth surfaces clean and protected from infections that may be caused by bacteria inside the mouth. Regular tooth brushing ensures that the teeth are kept clean and protected from dental problems; however, it is necessary as well to know more about effective brushing techniques from the dentist at Woodbury Dental and Laser Clinic to ensure that you can get the most out of the tooth brushing that is done on a regular basis. Regular tooth brushing done in an improper of ineffective way will not bring about the needed benefits for your teeth – so it is important to know how to do effective tooth brushing. Choose a tooth brush that will fit your specific needs. Toothbrush size is important; a toothbrush that is too small for your mouth will not reach all of the areas in the oral cavity that need to be cleaned, while a toothbrush that is too big may uncomfortably bump into the sensitive gums and soft tissues – and may cause unnecessary injuries. The right sized toothbrush should fit comfortably inside your mouth as you brush, and in your hand – so you can manage the task of brushing your teeth without any difficulties. You can also ask the dentist at Woodbury Dental and Laser Clinic for tips on what type of toothbrush will fit your specific needs. 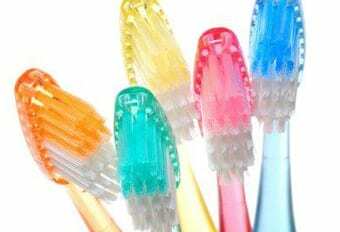 The right kind of bristles should also be considered when choosing a toothbrush. Soft bristles should be chosen by those who have sensitive gums, so there will be fewer chances of the gums being injured or irritated by stiff toothbrush bristles. However, the bristles should still be strong enough to provide effective cleaning power for the teeth surfaces and for the gums as well. Effective brushing of teeth should be done at least twice a day, after meals. It is important not to let too much time pass in between a tooth brushing session, as plaque can easily build up on teeth surfaces and along the gum line. Effective brushing of teeth should be done for at least two minutes, to ensure that every part of the mouth and the teeth are thoroughly cleaned and given the attention it needs. Vigorous and very hard tooth brushing strokes do not equate to effective tooth brushing. Tooth brushing too hard can actually do more damage than good, since too much force can lead to erosion of the teeth enamel. Gentle strokes for two to three minutes will produce more effective results than vigorous tooth brushing, to effectively remove food bits or plaque from the teeth surfaces, and along the gum line. The toothbrush should be positioned at a 45-degree angle against the gum line, with more emphasis on vertical rather than horizontal strokes. Long horizontal tooth brushing strokes against the gum line may damage the sensitive gum tissue, so this should be avoided. If you are unsure of how to do this, you can ask a dentist in Kent about a demonstration on proper tooth brushing strokes, and proper toothbrush handling. Make sure that the inner teeth surfaces get the same amount of attention when tooth brushing, compared to brushing and cleaning the outer surfaces. These inner surfaces are equally susceptible to plaque buildup as the outer surfaces, but are often neglected when it comes to effective tooth brushing. Rinsing after tooth brushing is not only for the mouth – it is also for the toothbrush. Some people neglect to rinse the toothbrush after it is used, which may lead to bacteria and toothpaste buildup. Make sure that the toothbrush is thoroughly rinsed with water after tooth brushing. After tooth brushing, make sure that the toothbrush has a chance to dry out, as a moist environment can lead to the cultivation of bacteria. The toothbrush can be placed in a container or cover that will protect it from dirt, but will still allow the free flow of air to dry out the toothbrush. Check your toothbrush for signs of fraying or lost elasticity of bristles; if these signs are present, it is time for you to change your toothbrush. It is recommended that toothbrushes should be changed every two to three months or sooner if signs of wear and tear are present. This will ensure that you get the most out of your toothbrush for effective brushing of teeth.